EasyJet has promoted CRM and insight director Lis Blair to be chief marketing officer. The brand has also hired Luca Zuccoli from Experian, where he was head of analytics, to be chief data officer as part of a wider management shake-up. Mars Wrigley Confectionery UK has appointed New York-based Kerry Cavanaugh as marketing director, chocolate. He replaces former vice-president marketing Michele Oliver, who was promoted last month to global corporate brand and purpose director. Cavanaugh was previously senior brand director in the US, responsible for four brands: Dove (known as Galaxy in the UK), Twix, Maltesers and Goodness Knows. Mars said he has begun transitioning to his new role, and will relocate to London in July. The news comes a week after Chris Rodi, previously marketing director for Mars Chocolate Bitesize, was appointed as marketing director at Mars Petcare. Exterion Media has announced the appointment of Alex Russell as client sales director and Sharon Wright as head of digital sales. These appointments follow that of Nigel Clarkson, Exterion Media’s chief revenue officer. Prior to joining Exterion, Russell was head of client partnerships at Time Inc. Wright joins from Zenith where she was planning director and has previously held roles at ESI Media and Channel 5. 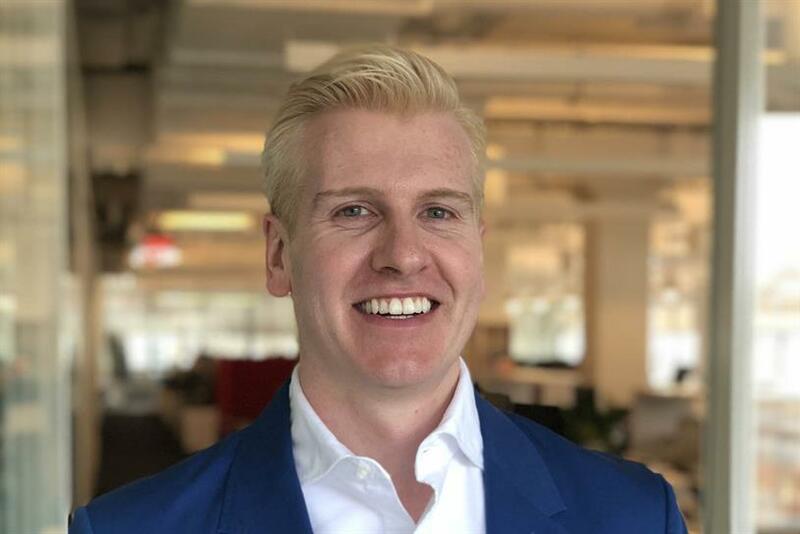 Greg James, chief strategy officer, North America for Havas Group’s media business has been promoted to global chief strategy officer for Havas Group’s media business. James joined the group following Cake’s acquisition by Havas in 2008 where he was a partner and head of content. OMD EMEA managing partner Joseph Woollen has left the Omnicom agency to become president EMEA at social video advertising company Precise TV. Vikki Chowney has been appointed director of brand partnerships at Condé Nast Britain. She joins Condé Nast Creative Studio to lead its brand-owned offer. Chowney was previously at Hill + Knowlton Strategies UK, where she most recently held the role of chief content strategist. Corinthia Hotels has appointed Rebecca Barrie to the newly created role of senior director – marketing. Barrie is an international marketing professional with over 15 years’ experience. She joins Corinthia from British Airways where she led the global marketing strategy, planning and performance for the airline. Dentsu Aegis Network has hired Victoria Milligan as marketing & communications director for media brands, UK & Ireland. In the new role, Milligan will co-ordinate the marketing and communications of Dentsu Aegis Network media brands, specifically Carat, Vizeum, iProspect, Fetch and Amplifi. Joining a new wave of "second careerers" - women returning to the industry after taking time out to bring up their children - her experience of the media landscape includes spells at Mediavest and Walker Media (now Blue 449). Vice has made two senior executives to its creative agency, Virtue. Gemma Knox joins Virtue as UK general manager, commencing June 2018, while Beth Bentley was recently appointed as vice president, strategy. Knox joins Virtue from creative agency, Sunshine, where she was senior vice president, business development. Bentley has previously worked for Wieden & Kennedy and Adam & Eve/DDB. Katie Jackson and Jessica Tamsedge have been promoted to joint heads of account management at Grey London. Jackson joined Grey in July 2017 as group business director on the Marks & Spencer account. Tamsedge is promoted from deputy head of account leadership and group business director across the Nomad Food Europe account, which include Birds Eye, Iglo and Findus brands. Previously, she worked on Pernod Ricard and Transport for London while at M&C Saatchi. TLC Marketing has hired Khalid Aziz as group marketing director. With a career spanning 16 years, Aziz joins from Lycamobile where he held the same position as his current role. He was also director of marketing strategy for eight years at Orange Group and marketing propositions manager at O2. The Hook has recruited Matteo Manta from LADbible as its head of data & insights. Manta will devise a multi-layered approach that will offer a new focus to editorial and commercial as The Hook aims to drive its original video content strategy. Prior to joining LADbible, Matteo worked in research, social and data driven roles for Digitas Health, Naked Communications and Zodiak Active. Feed has appointed former Digitas director Alicja Lloyd as its first client services director, Europe. Her remit includes managing and growing new and existing client accounts and developing client relationships.